From the Bottom of my Playlist to the Top; Thank You Serj! 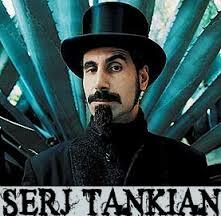 Okay, maybe saying I love Serj Tankian is a bit of an overstatement. But the truth is that Serj has perhaps had the greatest effect on my musical world than anyone else, and since music makes me happy, it is you, Mr. Tankian that I must thank. From the bottom of my playlist, I appreciate all you have done for me. It all started like many of us metal fans, hearing those words, “Grab a brush and put on a little makeup.” Yes, Chop Suey by System of a Down was my first introduction to Serj Tankian’s amazingly powerful and unique voice and lyrics. While much music can sound the same, System of a Down broke new ground and re-inspired my love of metal. Years later, when Zoe was first being introduced, involved and addicted to the world of heavy metal, I had her sit and listen to some of Serj Tankian’s solo work. Now I love SOAD completely and unquestionably. However there is something about Tankian’s solo work that is other worldly. It is just that much more outside of the box. The lyrics are so deep, so meaningful and so incredibly powerful. It is music one can actually use to teach history. 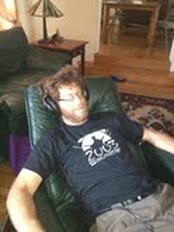 This is a man who can weave brilliant ideas together with outstanding and unique musical sounds. It was time to see Serj live. And Club Nokia was the place. Little did I know that the musical journey had just begun. Opening for Serj that night was a band I had never heard of, a Los Angeles based band called VIZA. We got there in time to see them as I had looked up the video “Trans Siberian Standoff” and it was awesome. They put on a show that absolutely blew my mind. I danced, I moshed, I sang, I exhausted myself, all on the opening act. This was the first of perhaps a dozen VIZA shows, each and every one of them truly amazing. They are fronted by a dizzyingly talented guitarist, Orbel Babayan and a singer, K’noup Tomopolous, who was born to be on stage. They released a few more albums packed with amazing tunes, and their live shows introduced me to endless great music. 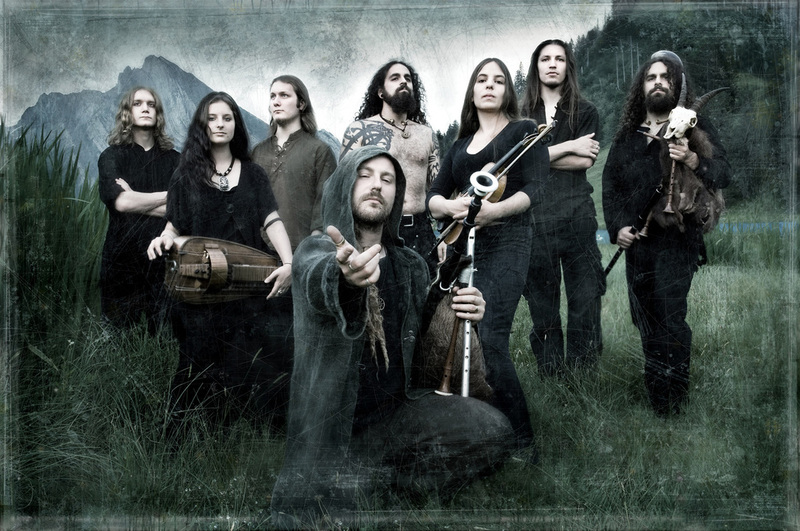 Gypsy metal band VI*ZA brings together so many sounds. At one VIZA show the LA band Blackmore opened at the El Rey theater. I had seen a few bands earlier in the night that I was not impressed with but Blackmore had me addicted from the very first notes on the song Battlefield, hammered by bassist David Dadoyan and electrified by the talented guitar work of Jack Heldt and Shaunt Sulahian. 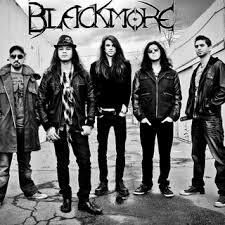 There have been several personnel changes for Blackmore, but this is a band that has everything necessary to make it big. 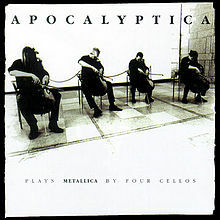 They are brilliant songwriters and fantastic technical musicians. 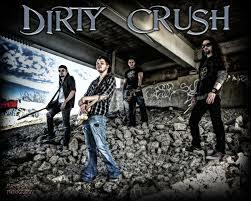 They play heavy progressive metal that is some of the best out there in a crowded music scene. Blackmore then had the opportunity to open for a band I had just learned about, Nothing More. While Blackmore is probably a couple songs away from breaking out all over the country, Nothing More had just released one of the best albums ever written from a musical, lyrical and passionate perspective. Nothing More has been blasting my ears from the day I first saw them, and it was Serj, through VIZA, through Blackmore, that got me involved. Nothing More's signature "team bass" playing. A couple weeks after that I went to the Aftershock Festival with Zoe, and she interviewed VIZA. She asked Orbel and K’noup what bands they would recommend, and they came up with Israeli based Orphaned Land. It took a while before I looked them up, but when I did, again, IMPRESSIVE. I love meaningful music. There is no music more powerful than what is written by Orphaned Land. And the guitar work? Wow! Orphaned Land brings middle eastern traditional music and modern metal together in a way I am sure no one thought was possible. And Orphaned Land? They recommend Palestinian rockers Khalas, which I will get to soon. Meanwhile, Blackmore’s Sulahian and I have become good Facebook friends over the years and he texted me one day saying I had to hear this band called Crobot. Luckily they were playing the Viper Room soon, so I looked up their music, bought some tickets and then went to one of the most intense, incredible, entertaining shows I had ever seen. 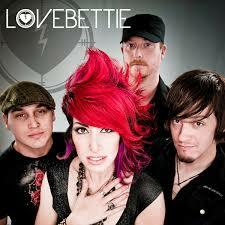 This band is awesome. Psychedelic rock with a splash of Motown and a seasoning of cannabis, mixed together in just the right amounts. 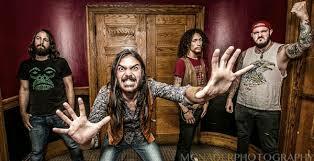 Pennsylvania natives Crobot are from, believe it or not, Pottsville. 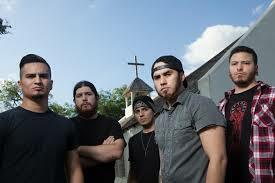 A few weeks later, while waiting for Crobot to play at Rocklahoma, I got another introduction to a band that is really going to be big, Sons of Texas. Coming from the Rio Grande Valley, Sons of Texas is a heavy metal band that blends some ZZ Top flair into the hard metal of Pantera. Opening up the Hard Rock Stage at Rocklahoma just before Crobot played in a driving rainstorm, Sons of Texas became another great band that I listen to often. Serj, you gave us System of a Down. You cut some of the greatest albums of modern rock; Elect the Dead and Imperfect Harmonies. You introduced me to VIZA, who introduced me to Blackmore, who introduced me to Nothing More. Sulahian got me started on Crobot, which led me to see Sons of Texas. VIZA’s K’noup got me to Orphaned Land who introduced me to Khalas. And local Blackmore shows in LA have led me to Mother Falcon and the Unending Thread, which I will write about in a future post. I learned about Dead Sara about a year ago when I was researching bands playing Aftershock 2014. Of all of the bands I had never heard before, one band stood out above the others, and that was Dead Sara. I bought their self-titled album immediately and started looking forward to the show with incredible anticipation. Melting in the triple digit heat of Aftershock and their stage time squeezed by technical difficulties from the next stage, Dead Sara still completely blew me away. The vocals of Emily Armstrong and the tightness of the rest of the band was truly impressive. I was an instant fan and looked forward to getting to see them in a more humane environment. That opportunity came at a sold out show at the Constellation Room in Santa Ana, and this was the true conversion. Rarely do I have that much fun at a show. Everything about it was incredible and the sneak previews of their upcoming CD got me excited and sent me to their webpage to get the download the day it was available. 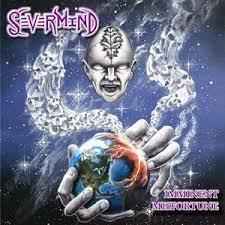 Their new CD is absolutely fantastic. “Mona Lisa” is a rockin’, rollin’ catchy tune that shows off Armstrong’s pipes. Another of the amazing songs on this CD is “Mr. 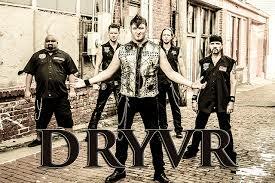 Mr.” which is again an amazingly catchy tune with a final half that borders on powerful metalcore. I simply love the last minute of that song, which blends so perfectly into the next song on the album, “Greaser”, a song without genre. Just enjoy. Dead Sara is not afraid to experiment in their live shows. 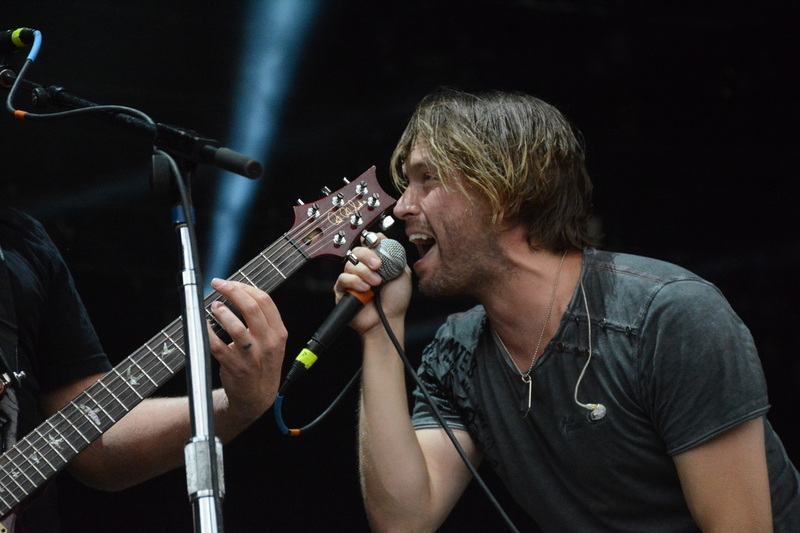 I found it both brave and incredibly powerful when they recently started their show with the ballad “Sorry For It All” from their first album. Here is this talented musician, with this hauntingly stellar voice singing the most incredibly beautiful song. Someone with no Dead Sara experience probably was wondering why his or her metal head friend could possibly have invited him or her to this show. But then this band explodes in sounds of wild guitars, pounding bass, ferocious drums and a voice that ranges from the angriest of screams to the most heartfelt love you could hear from stage. All of this while four entertainers seem to be having the time of their lives. 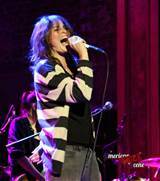 Dead Sara loves to play live music, and that is obvious from every second of one of their live shows. At the Troubadour show they not only started with a ballad, they fit in some “Dazed and Confused” in the middle of one of their best songs, “Lemon Scent.” And speaking of “Lemon Scent,” this is probably one of the ten most entertaining videos ever made. Watch below; do you think they enjoyed pummeling each other as much as they enjoy playing music together? And that last shot? That is how I feel after a Dead Sara show; they give it all, and the passionate fans give it right back. My only complaint with Dead Sara is that there are three songs I absolutely love that I have never heard them play in concert. The first, “Snow in Los Angeles” was made for a Christmas album. I understand it is not necessarily something off one of their own CD’s, but does Armstrong have any idea just how beautiful her voice is on this song? The second, which is my favorite song off their first CD, Dead Sara, is “Timed Blues.” This is a fantastic blues-rock song that seems to play to the sweet spot of the entire band. They just sound so perfect together in this song that I hoped they would spend a bit more time on their second album in that sphere. Which leads me to my all-time favorite Dead Sara song, “Blue Was the Beautiful You” from Pleasure to Meet You. Wow, what can be said about that song? I just feel that it is one of the best songs I have ever heard. Catchy, bluesy, with the most raw emotion, sung by one of the best singers in rock today; Emily Armstrong, accompanied by the most creative guitar work by Siouxsie Medley. And this leads me to one of my other great loves of this band. With two attractive female musicians, Emily Armstrong and guitarist Siouxsie Medley, Dead Sara NEVER PLAYS THAT CARD. As a father of two teenage daughters who wants to teach my children that it is the quality of the character and not the lack of clothing that determines who you are, Emily and Siouxsie are role models everyone can appreciate. 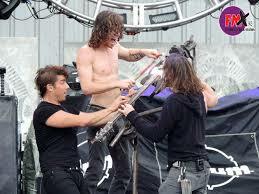 The success of Dead Sara clearly comes from hard work and a deep dedication to their profession. This is a band you do not want to miss. 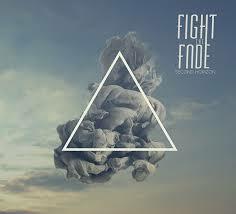 They are presently touring in support of their new, fantastic album, Pleasure to Meet You. Go buy it, go see them. It is a night you will thoroughly enjoy.